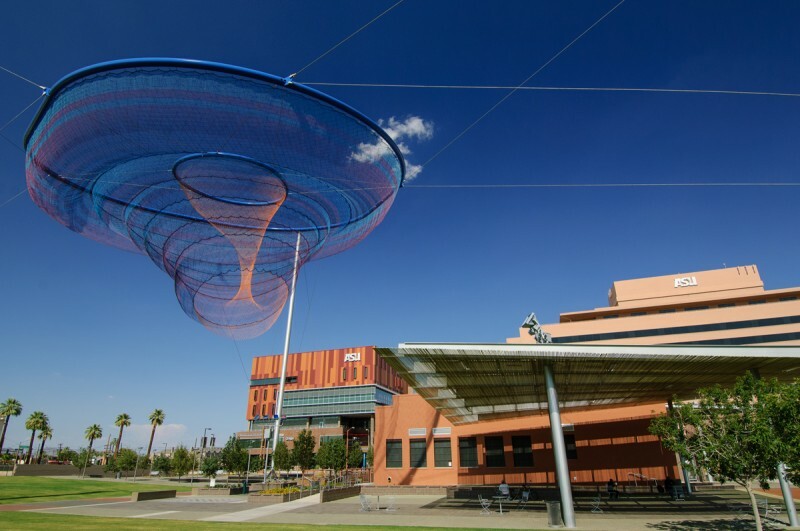 Is Arizona State University the model for the new American university? TEMPE, Ariz. — The students spread out on the grass at Arizona State University look far too young to actually go here, or even to be thinking about college. In fact, they’re sixth-graders from a middle school in the largely Hispanic, low-income neighborhood of West Phoenix, pausing on a tour of the campus for a brown-bag lunch under the desert sun. These 11- and 12-year-olds have been taken on this novel field trip so that they will eventually think about going to college — and to see that this one actually wants them — said their teacher, who went to Arizona State himself. After more than a decade of remaking itself, the university has become a model of what higher education in America should be, according to a new book by its outspoken president, Michael Crow: a place judged not by who it turns away, but by who it accepts, and how many of its students ultimately graduate. Reaching out to middle and high schools, it has put the idea of college into the minds of students who often don’t consider it. It takes applicants whose performances might not qualify them to be accepted into other flagship public universities and finds new ways to raise and save the cash it needs to offer them financial aid and almost smothering levels of tutoring and other support. And it’s chipped away at its cost per graduate by hugely expanding its enrollment and creatively using technology to do everything from helping students pick majors to warning them when they’re wandering off track. What Crow’s done at Arizona State since he arrived in 2002 is “an attempt at laying down the logic for what universities need to be in the future,” he said in his campus office, on one wall of which hangs a huge framed image of the world. ASU has doubled its number of Hispanic students, to 13,892, over the last dozen years, and nearly doubled its number of black students. That’s because, with shifting national population patterns, there will soon be more students like those West Phoenix sixth-graders heading for college than the white high school graduates on which most universities largely rely for their enrollments. Arizona State has made this its Plan A. After other states scaled back dramatically on what they spend on higher education, some public universities, including in neighboring California, capped enrollment. When Arizona slashed funding for its public universities and colleges by half — more than any other state, according to the Center on Budget and Policy Priorities, with another $104 million worth of cuts proposed this year, taking another 14 percent chunk out of the budget — ASU increased its enrollment by nearly 50 percent, from about 55,000 when Crow arrived to 83,000, including 13,000 in online degree programs, and has used the revenue from the additional tuition to help make up for the funding shortfall. Students now swarm around the sprawling campus on bicycles and skateboards, beneath neat rows of towering palm trees and past sparkling new buildings that belie the state cuts. The university has also raised its number of out-of-state students, who pay more than $22,500 a year, versus about $10,000 for in-state students. The number of non-Arizonans enrolled has nearly doubled, from about 14,000 when Crow took over to more than 27,000 today. He’s been particularly aggressive at recruiting from California; today, more than one in 10 students at ASU are from there, or about 8,500, versus 1,721 in 2002, the university says. Meanwhile, at a time when the number of university administrators continues to rise, Arizona State trimmed millions of dollars in administrative costs by reorganizing traditional academic departments into larger ones, reducing the total number by nearly 40. Biology, microbiology, and plant, molecular, and cell biology merged to become the School of Life Sciences, for example. There is also now a School of Human Evolution and Social Change, School of Earth and Space Exploration, School of Social and Family Dynamics and School of Social Transformation. ASU’s outreach to schools, the money it has raised or saved, and a program to ease student transfers from community colleges have helped the university double its number of Hispanic students, to 13,892, and nearly double its number of black students, so that it now more closely mirrors the racial makeup of the fast-growing state it serves. And by giving away 14 percent of its tuition income in the form of financial aid, it has vastly increased the number of poor students who can go there. Roughly 37 percent of its students receive federal Pell grants, the university says, meaning their families’ incomes are about $20,000 or less. Some students say their friends at other universities make fun of ASU’s comparatively nonselective admissions standards. The university admits 80 percent of its applicants. “They say you only have to have a 2.0 and blood pressure,” said Clara Riddick, a senior from Phoenix, rolling her eyes. “That’s what we’re trying to tell people: Anyone can go here. That’s not a bad thing,” exclaimed Mona Dixon, a graduate who is now a master’s degree candidate. Getting those students is one thing; graduating them is another. Nationally, first-generation, low-income racial and ethnic minorities have lower average graduation rates than other students. Arizona State throws technology at this problem, using tools such as an online advising system called eAdvisor, which asks students questions that can help them pick a major, then tracks their progress and raises warning flags if they falter. The students entering ASU’s honors college have lower SAT scores than students at private Colgate, Oberlin, or Carleton, and there are far more of them, with a much higher proportion of minorities. Statistically, that would make their odds of graduating lower than for those at the smaller campuses, which can provide more personal support—but their graduation rates are actually about the same. One of Crow’s mantras is that, while other institutions measure their prestige by the number of candidates they turn away, his defines itself by who it accepts and graduates. Among them was Carlitos Hernandez, who grew up poor and without a father in South Phoenix, and got a full ride to the university. Hernandez graduated in 2012. He now works for a nonprofit that helps mentor high school kids like him. About half of ASU students now graduate in four years, up 20 percentage points since 2002, the university says. That’s 10 percentage points higher than the national average, and almost 20 percentage points above the average for all public universities, according to the U.S. Department of Education. Some critics wonder whether the university is lowering its standards to raise its graduation rates. The university responds that it was reaccredited after an intensive two-year review; that graduates who go into professions requiring a licensing exam pass at rates above the national average; and that, in a study scheduled to be completed later this year, it’s using standardized tests to monitor students’ progress. Other observers, including some inside Arizona State, say that the university’s ability to make such dramatic changes stems from its huge size and the state’s relatively lax regulations — it’s much easier here than in other states, for instance, to introduce a new degree program —which other schools can’t necessarily copy, as Crow argues that they should in his new book, Designing the New American University, coauthored by ASU Professor William Dabars. But Crow lashes out in his book at what he calls the “bureaucratic entrenchment” that makes higher education resist change. “Certainly every university and college has the capacity to do this. 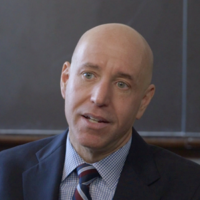 Whether or not everyone has the interest or the will depends on the institution,” said Jim Rund, senior vice president for educational outreach and student services. It’s also true that what the university is doing is in its own self-interest. Preventing a student from dropping out saves the expense of recruiting a new one, for example. Speeding him or her to graduation also saves money. 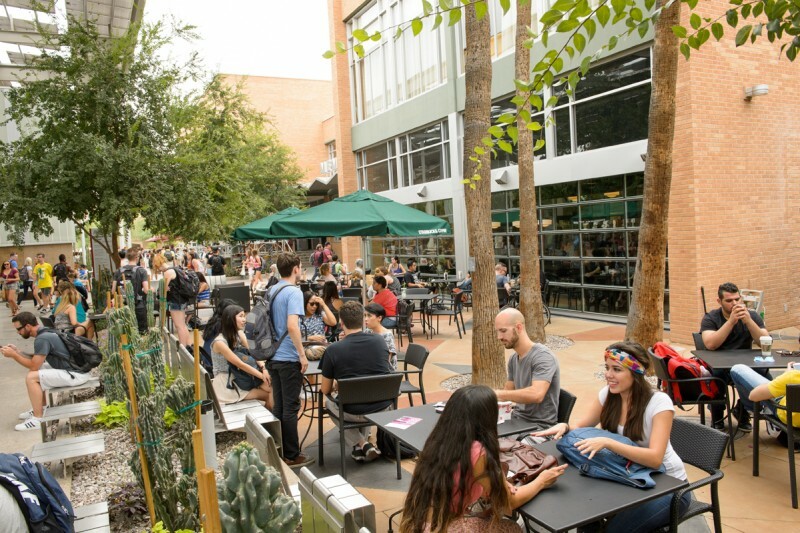 Similarly, Arizona State’s online education wing, housed in a new high-tech space in nearby Scottsdale that looks more like Silicon Valley than Salt River Valley — complete with the obligatory beanbag chairs and exposed ceilings — brings in $150 million a year in revenue, the university says, and just reached a deal with Starbucks to provide online degrees to thousands of the company’s baristas. Ten other large public research universities, including Georgia State, Ohio State, Michigan State and the University of Texas at Austin, have now signed on with Arizona State in something called the University Innovation Alliance to share ideas like these. Arizona State is next developing an entirely new way of further speeding up a college education. Called “adaptive learning,” it will use technology to help students avoid wasting time by sending them on to the next level as soon as they’ve mastered material, instead of waiting until the end of a semester. “Let’s find out what they know and teach them what they need in a way that makes sense,” said Elizabeth Phillips, the former provost, who is spearheading the idea, and who also helped develop eAdvisor. As with eAdvisor, ASU will be a willing test case for this new idea, said Phillips.